We’re going to cover two steps of the Tania culotte construction today. First – the right side seam. It’s a quick step and you’ll be over and done with it in minutes. We’re only doing the right side seam right now, because the left side seam will house the zipper. And once we have that simple step out of the way, we will head into the waistband. We will be sewing the right side seam only right now, since the left side will house the zipper. Lay your back piece down so the right side is facing you. Lay the front piece down on top of it with wrong side facing you (so the rights sides are together). Line up the raw edges to the right and pin in place. 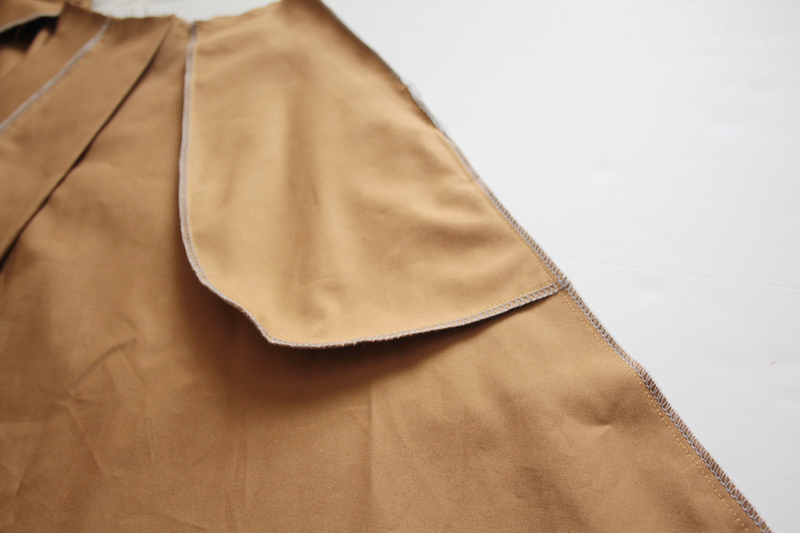 Stitch 5/8″ from the raw edge, all the way from the waist to the hem. And then finish the raw edge with your preferred method. Don’t forget to open up your culottes and press well! 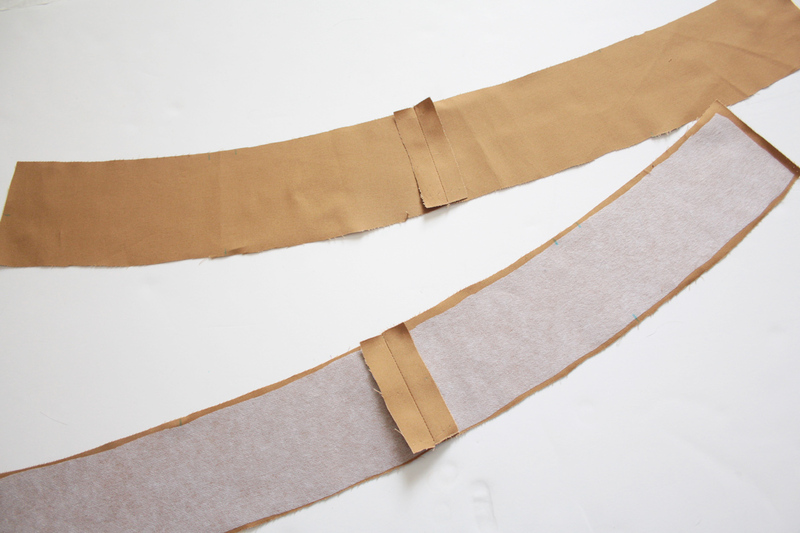 Attach interfacing to the wrong side of one waistband front, and one waistband back. Take the two interfaced pieces and place right side together. 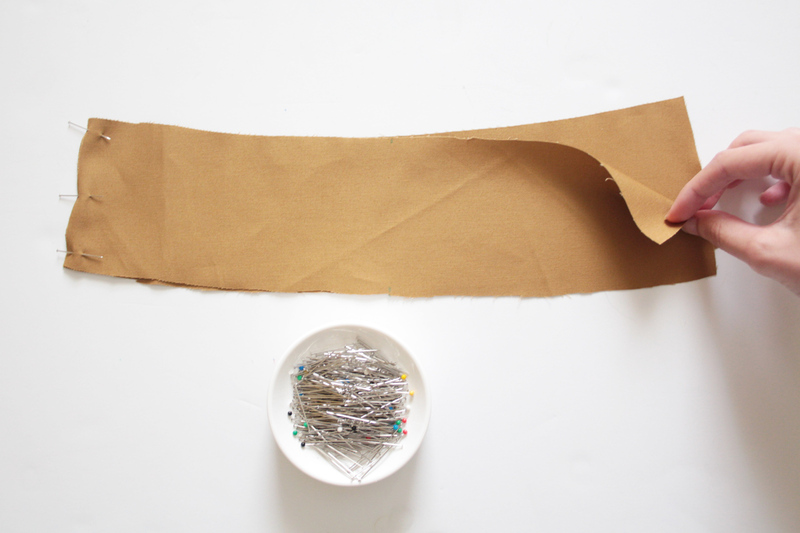 Line up the RIGHT side, pin, and stitch in place 5/8″ from the raw edge. This is your waistband. 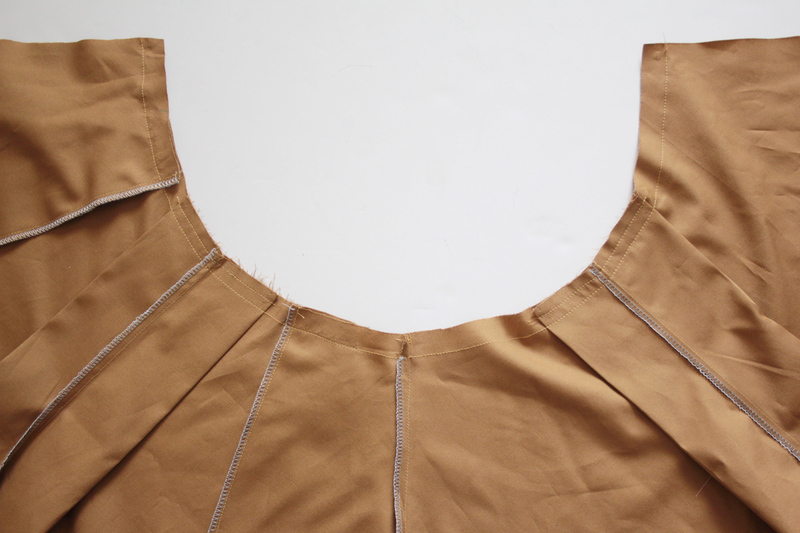 Take the two remaining non-interfaced waistband front and back pieces and place right sides together. 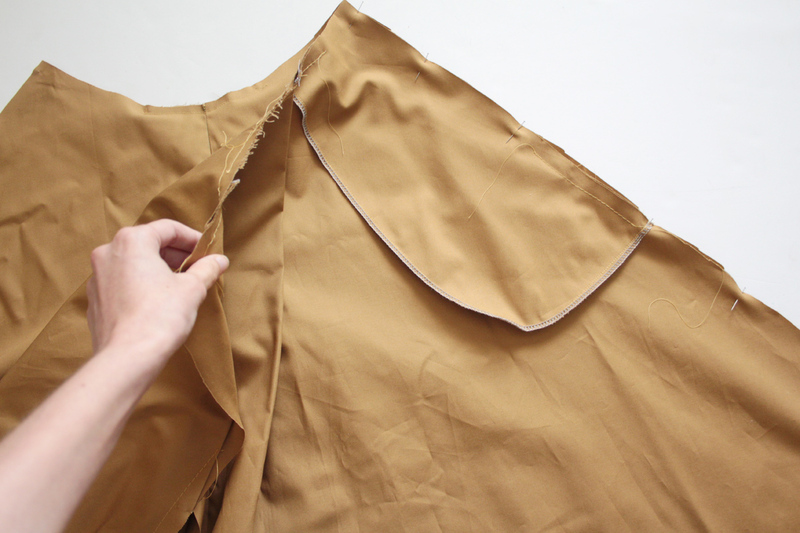 Line up the LEFT sides, pin in place, and sew 5/8″ from the raw edge. This is your waistband facing. 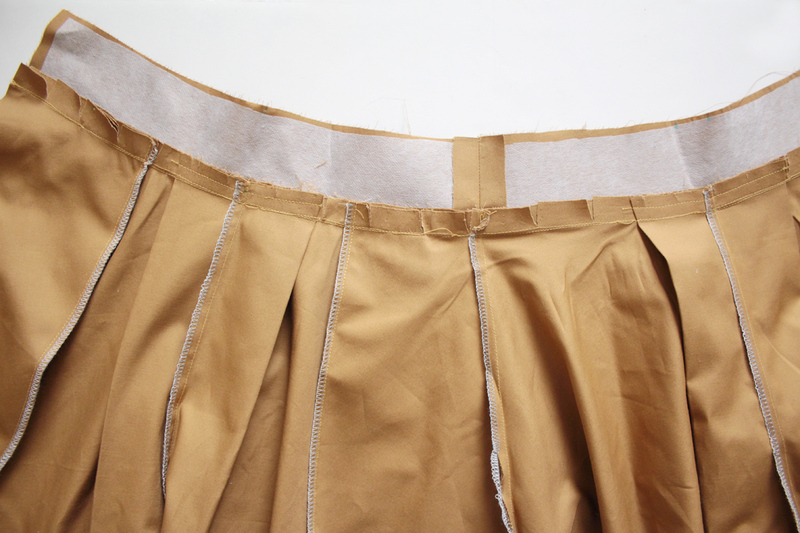 Press the seams open on both the waistband and waistband facing. You can now set aside the waistband facing (non-interfaced). We will pick it up again later after the zipper. Now grab your culottes. 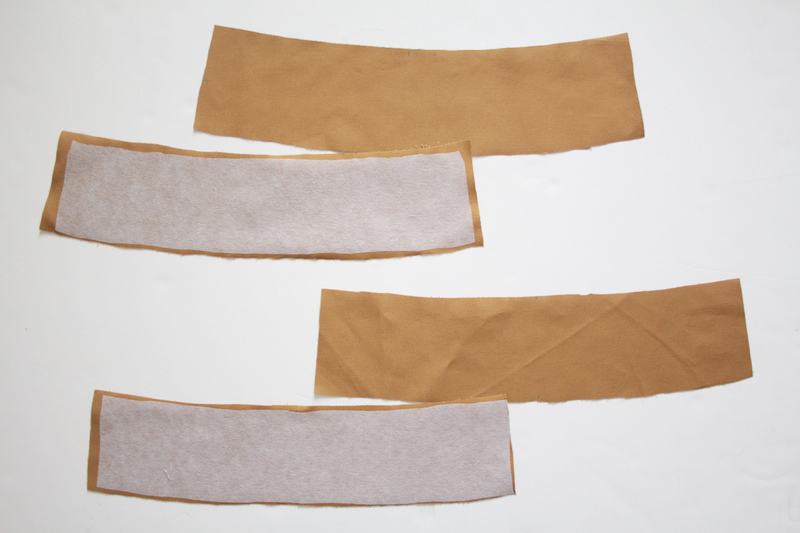 Sew 5/8″ from the waistline edge, along the whole waistline. Clip into the seam allowance, about every inch or so. Be very careful not to cut through the stitching. Doing this will help the waistline edge contour to the waistband in the next step. 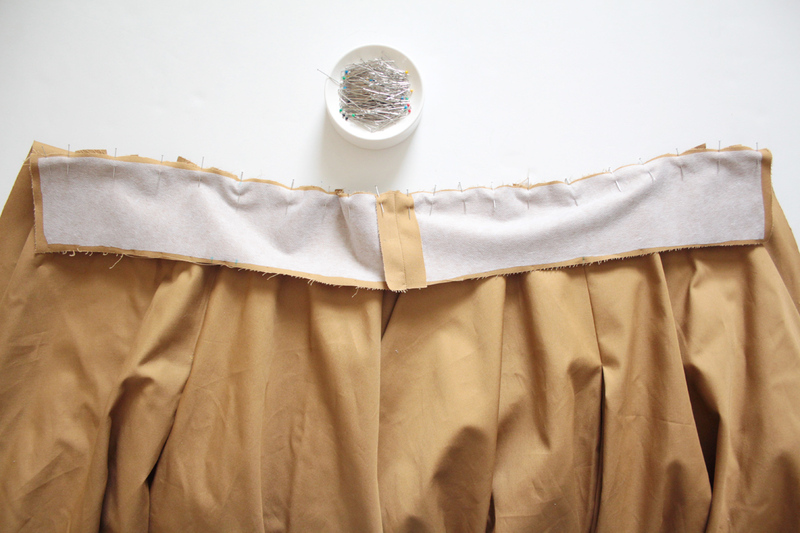 With your culottes laying with the right side facing up, place the waistband piece (interfaced) on top of it, right side facing down. 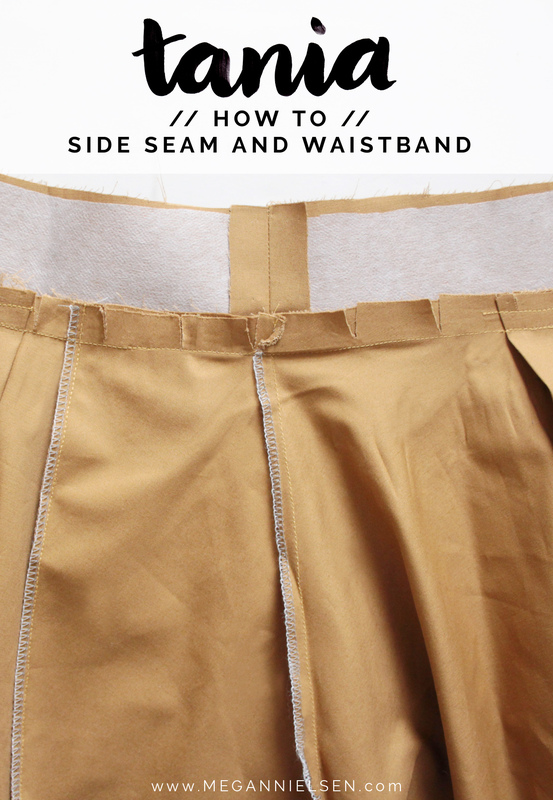 The bottom edge of the waistband curve is what you are attaching to the waistline. Line up the side seam. 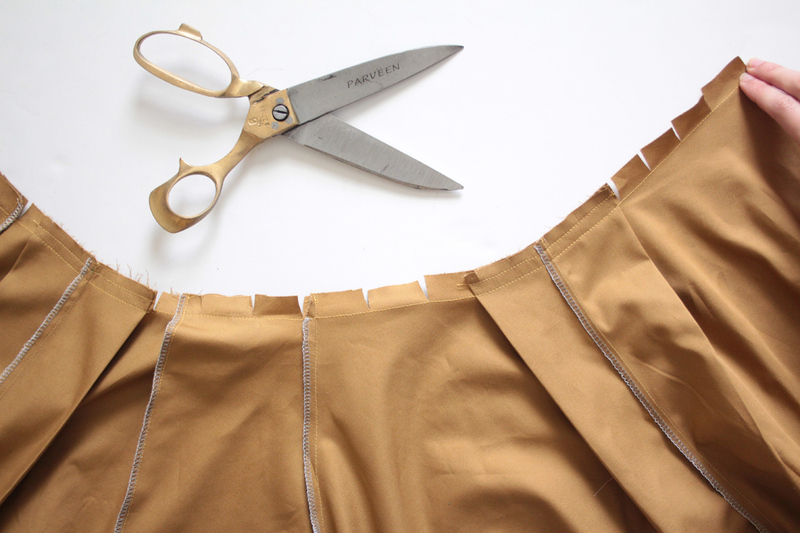 Start pinning the waistband to the culotte waistline by fanning out the clipped waistline to match up with the edge of the waistband. 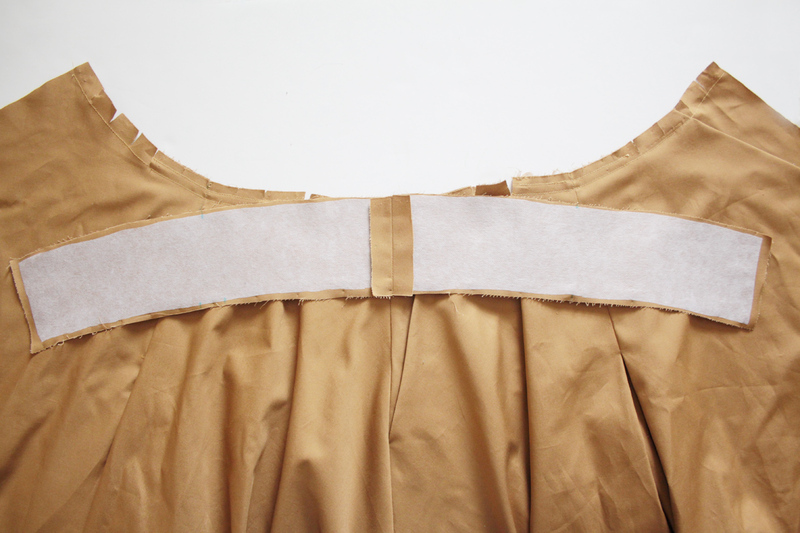 Make sure you also line up the center front and center back notches on the waistband with the center front and center back seams, respectively, as you go. 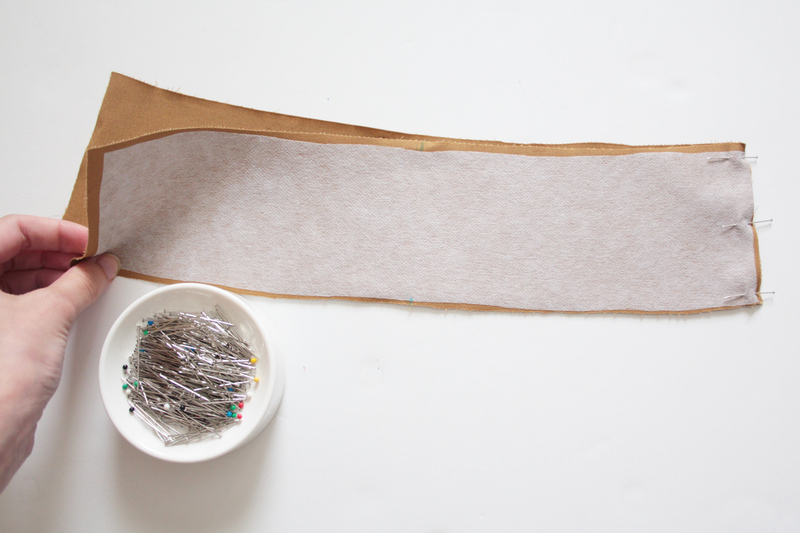 Stitch 5/8″ from the raw edge. Finally, press both the waistband and seam allowance upwards. (This shows you what it looks like from the wrong side).